The much-discussed Zonda LM view during the past few days has been delivered. 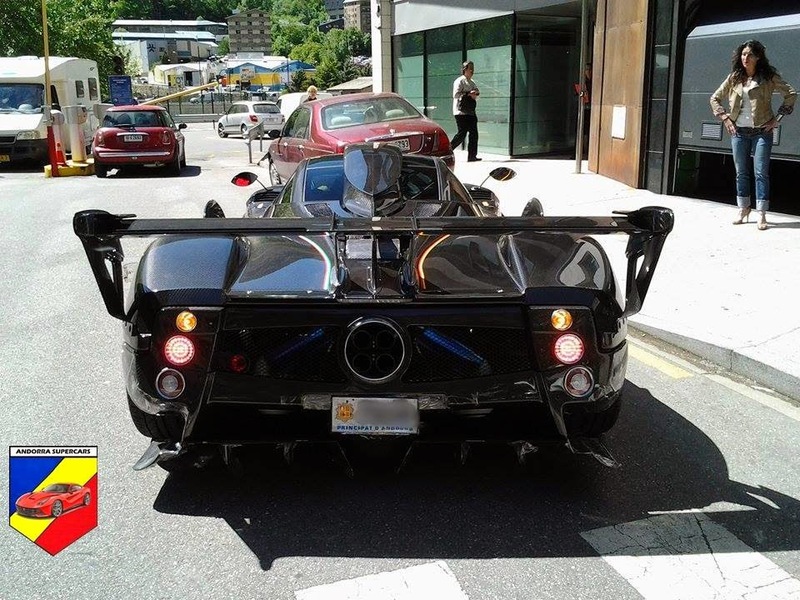 The car has been spotted in Principality of Andorra where it was registered, probably because of emission regulations in Europe, in fact, since 2010 it is no longer possible to register cars Euro 3 like the Zonda. This is not like the other special editions which in practice are different by the name and the body paint. 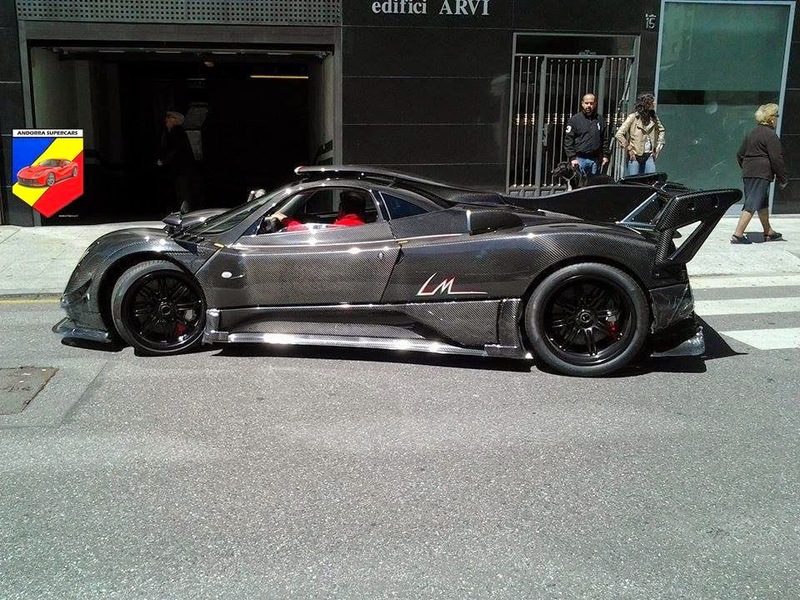 This Zonda, inspired by Le Mans prototypes, is characterized by a very different look compared with the other Zondas. The whole body is in fully visible carbon fiber and it presents the same features of the 760 series, airscoop, wide fenders, intakes for brakes cooling etc. 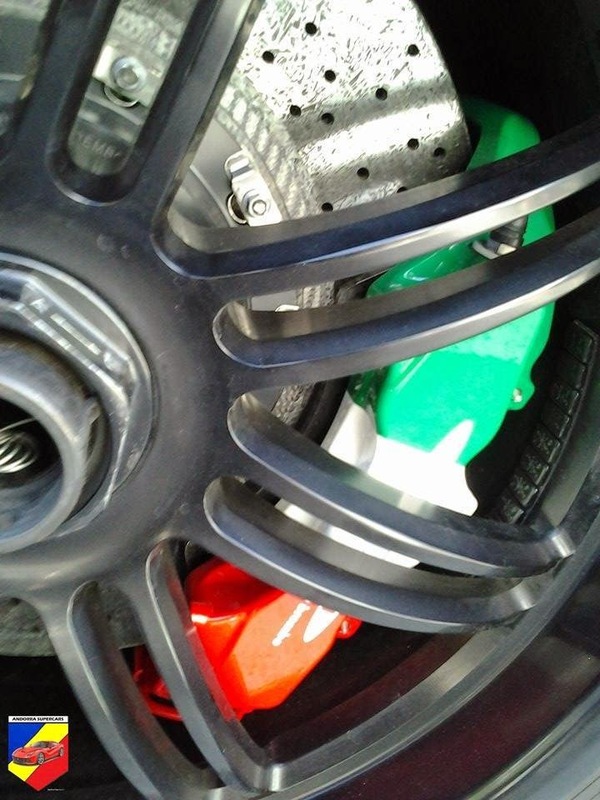 It is also characterized by side tricolore stripes, italian flag style on the left side and german style on the right side, same feature for the "LM" side emblems and brake calipers hidden behind the black wheels. Another strange thing are the belts used to close the hoods which are made by yellow leather. 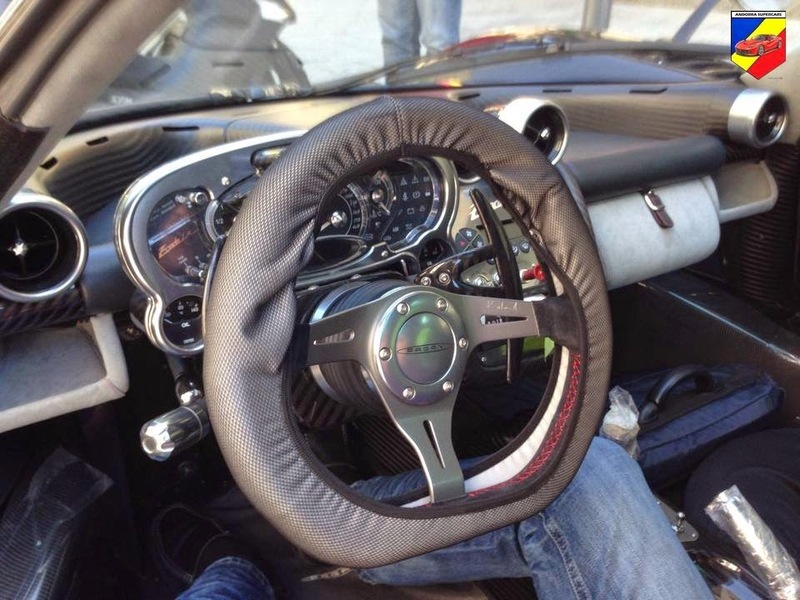 The cockpit is characterized by black and white leather with carbon fiber inserts and some aluminum parts anodized. 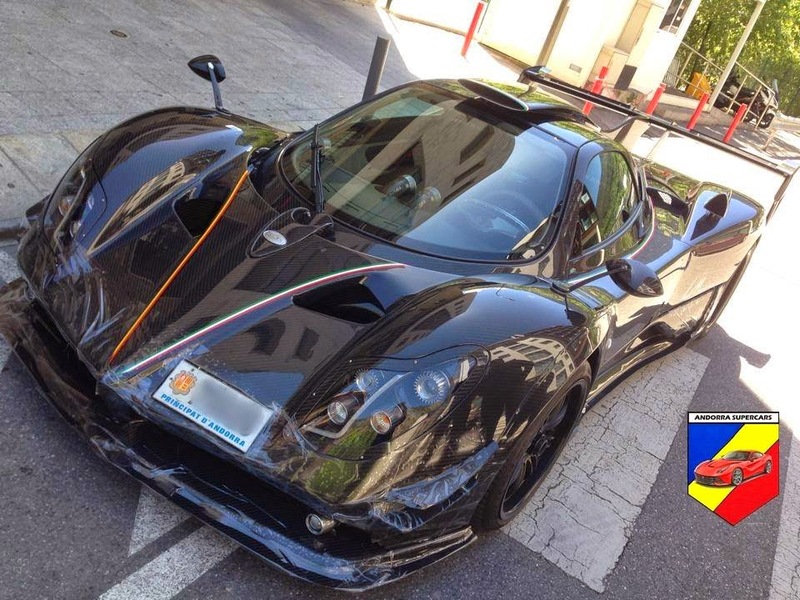 The owner of this masterpiece is a well known Pagani customer from Argentina which already owns a Zonda Cinque Roadster and a Zonda R. Probably this car will remain in Europe like his other cars. This car is awesome but can you explain me the probleme with the emission and why a modern car like this and with an Amg motors can not be allowed in the others countries.